We wanted a jacket that could make us mean like Marlon Brando. Scream like Sid Vicious. Thrash like Patti Smith – or at least come close. We wanted a style that was better for the environment, too. 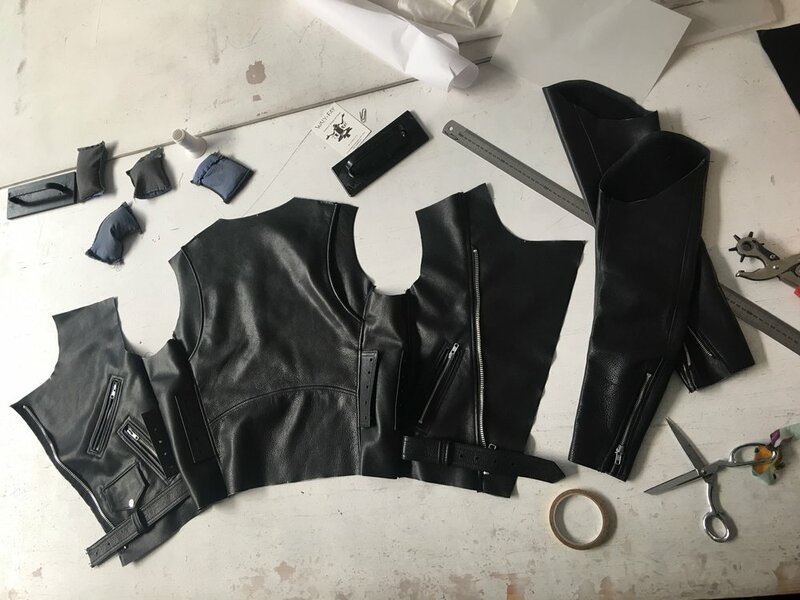 So we set out to create a jacket that could evoke these icons – something worthy of the screen or stage – with weight and heritage in the design, a killer fit, made with the finest, sustainably-sourced materials. 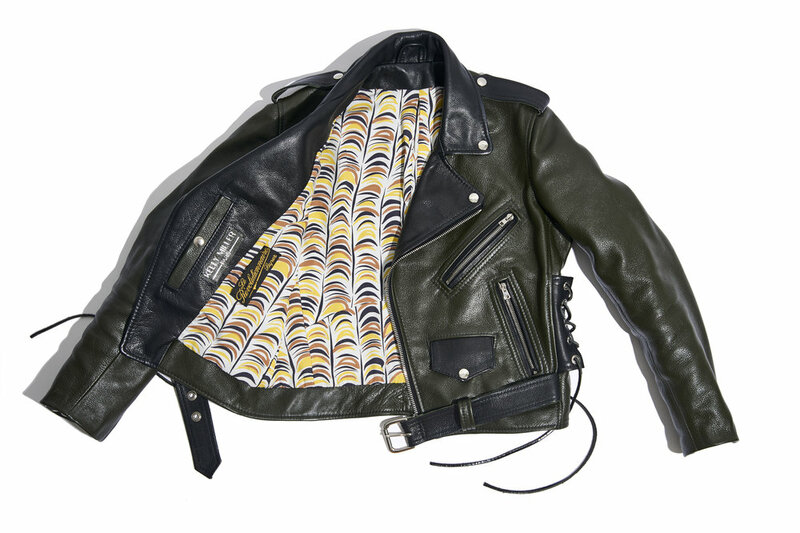 A modern biker that pays homage to this garment's storied past. Kelly Miller Paris creates elegant, bespoke biker jackets in collaboration with a network of skilled artisans concentrated in Paris. Each jacket is made-to-measure from reclaimed sample leathers and production excess sourced from the luxury houses of France. We cut linings from vintage fabrics found in brocantes and flea markets, or deadstock yardage available from the same names that provide our leather. We believe in working with what's already available, to create jackets rooted in quality and authenticity – that promise to age beautifully. The heirloom pieces of tomorrow. Where we cut and construct from start to topstitch-finish.